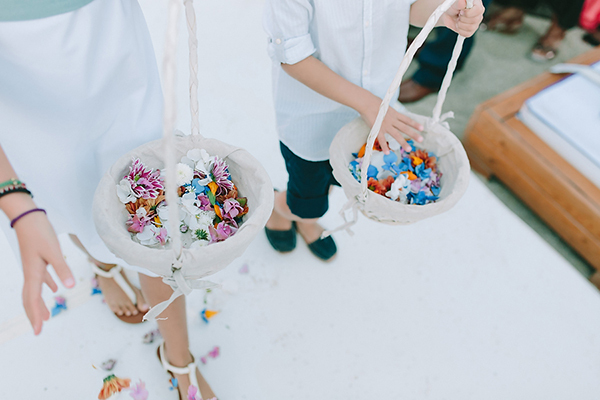 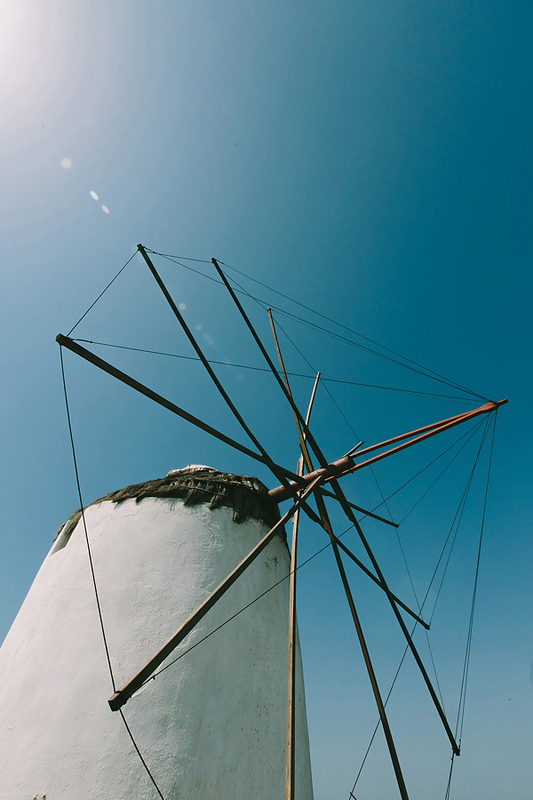 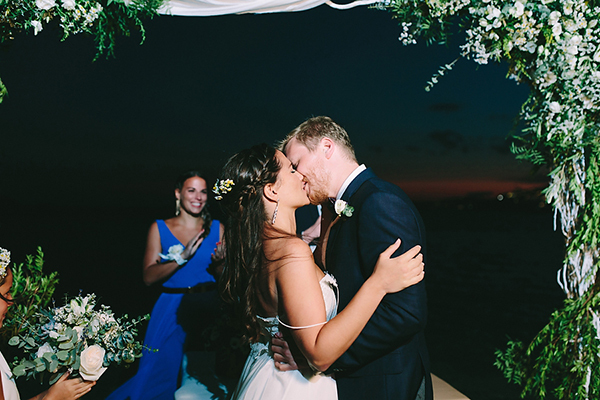 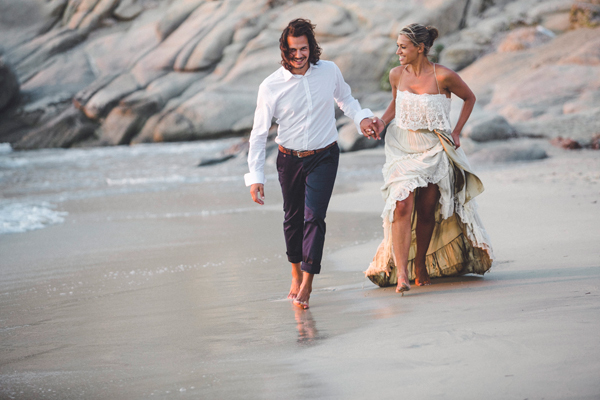 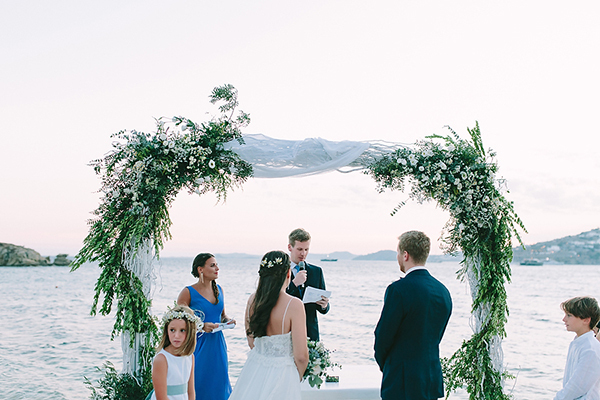 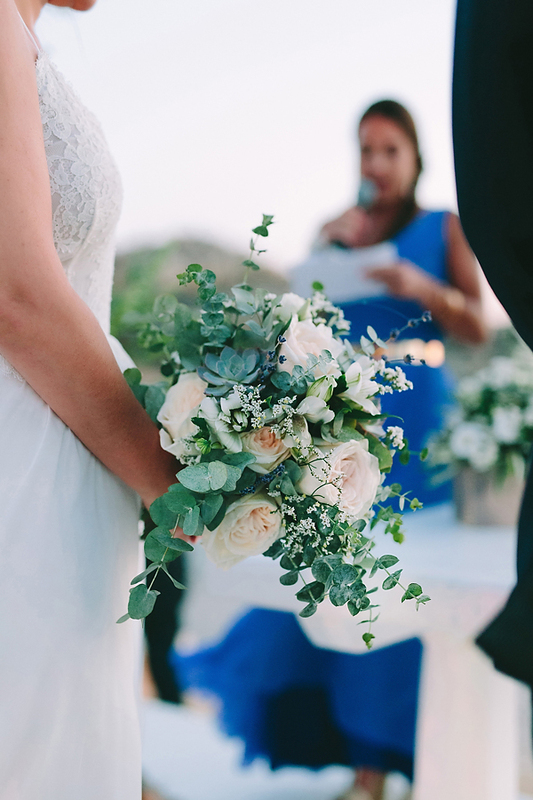 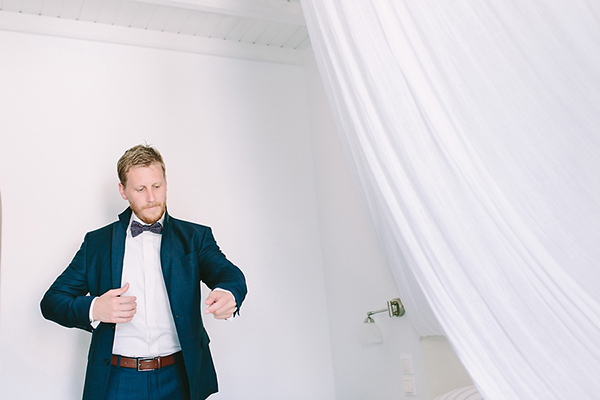 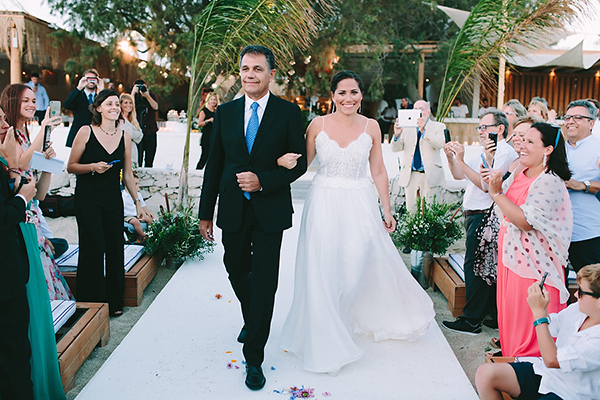 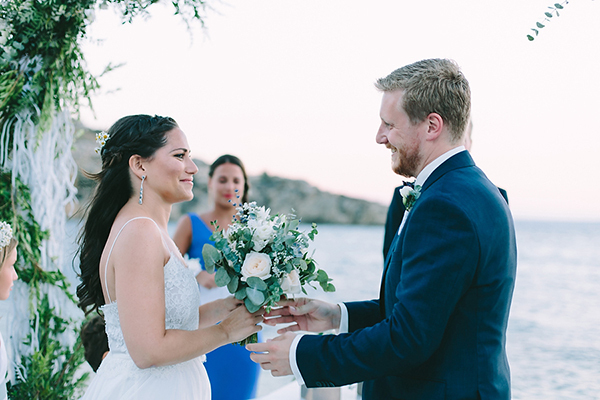 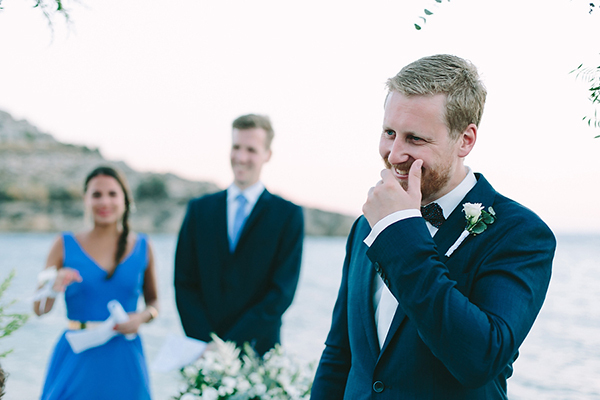 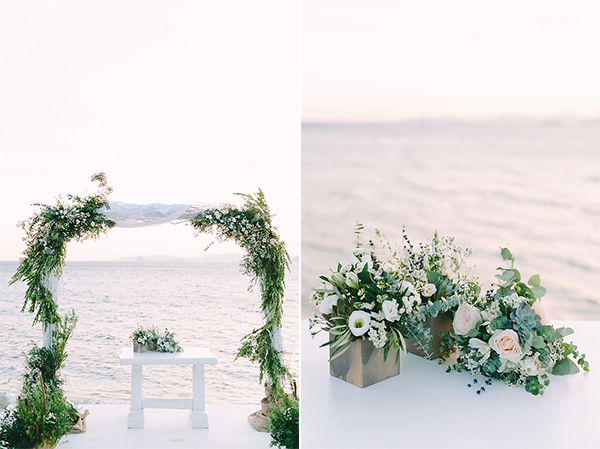 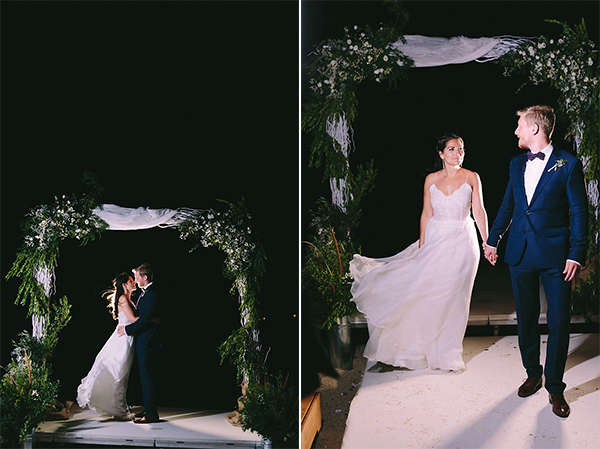 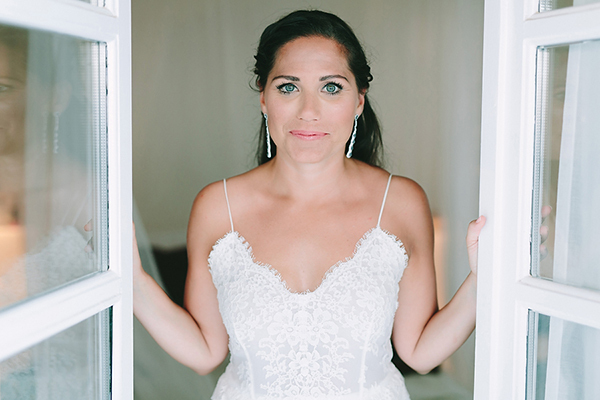 Mykonos was the perfect setting for this boho beach wedding! 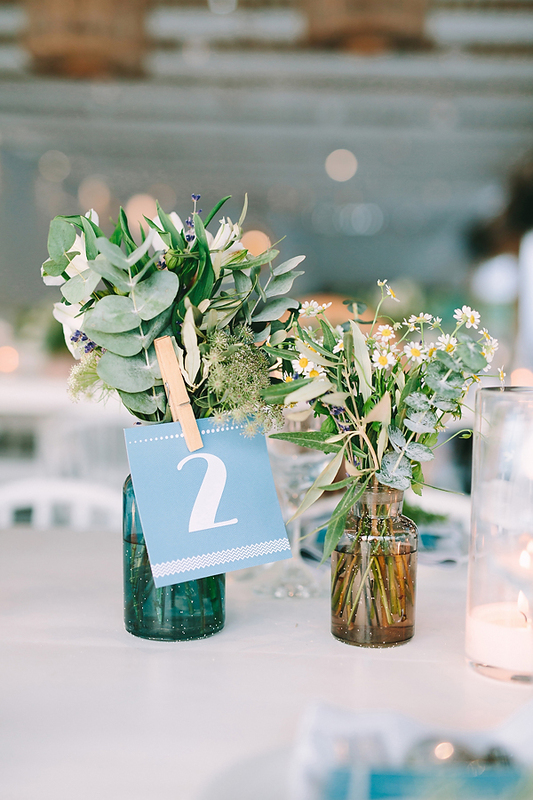 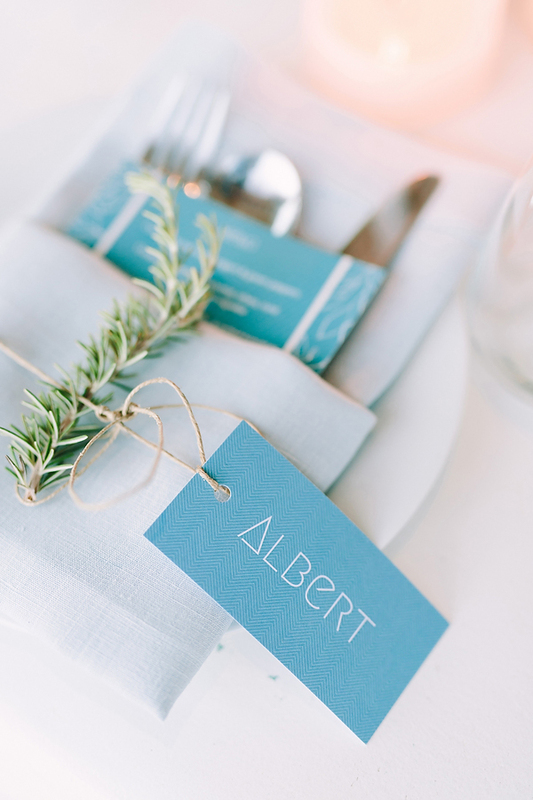 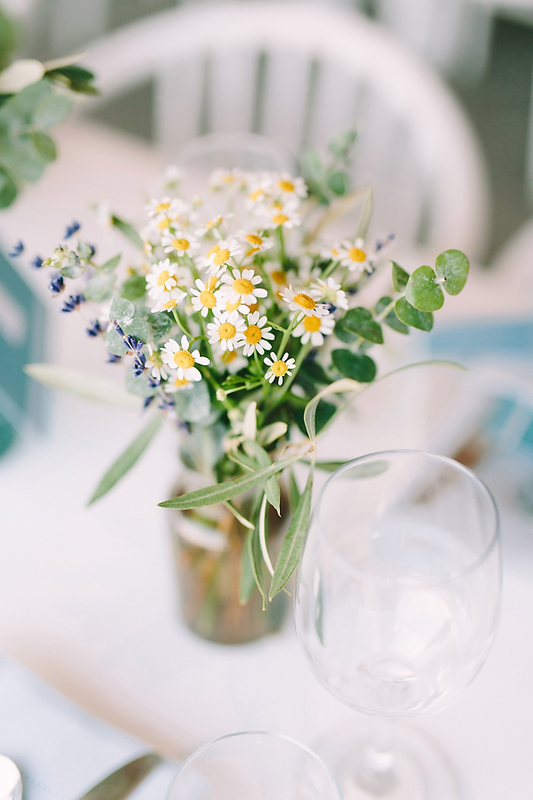 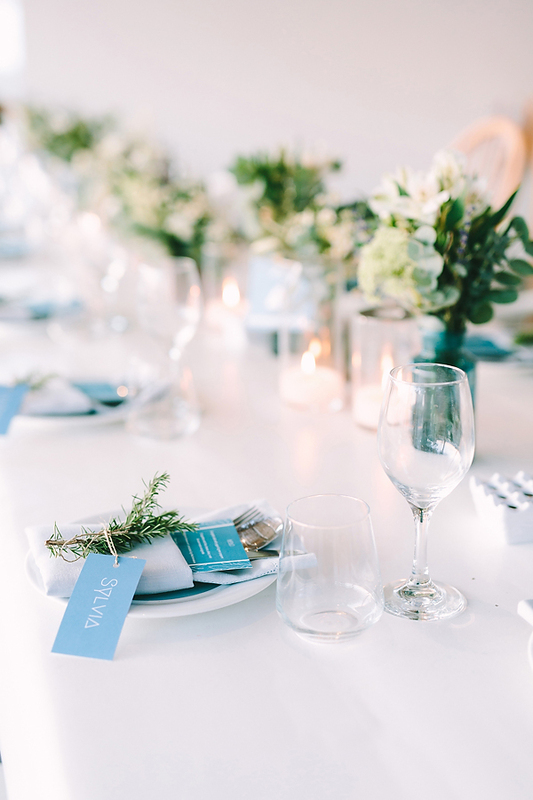 We love the Mediterranean style of the wedding, the candles hanging from a tree and on the tables and the white blue and lovely turquoise details! 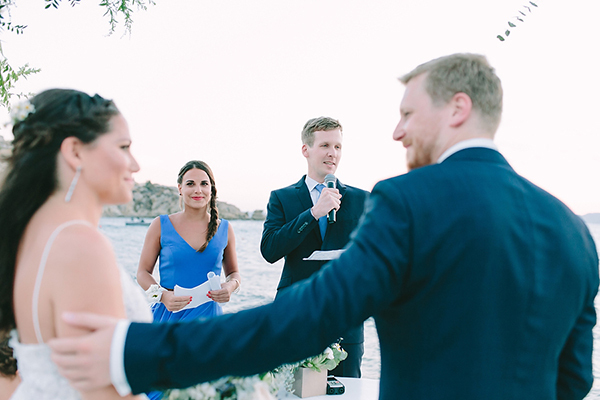 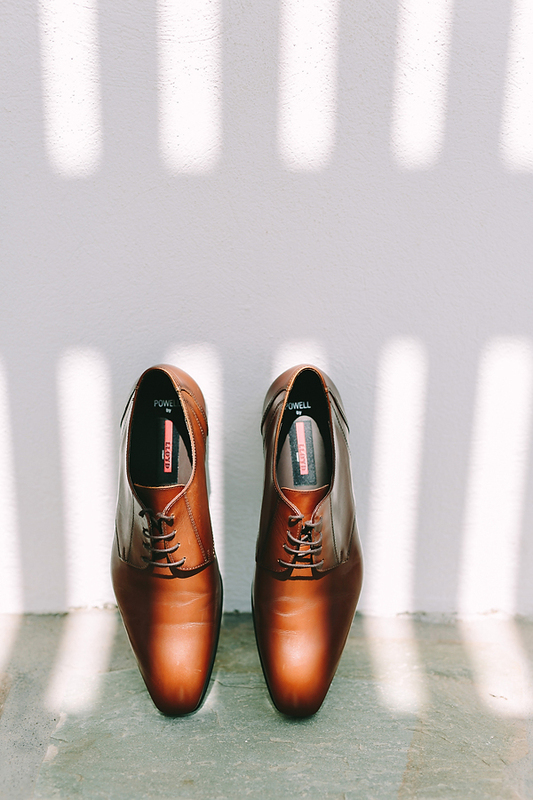 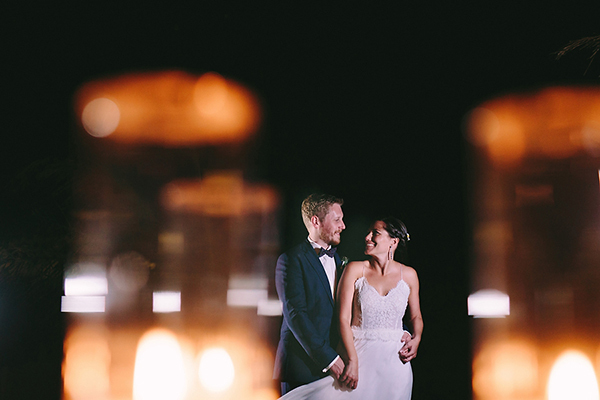 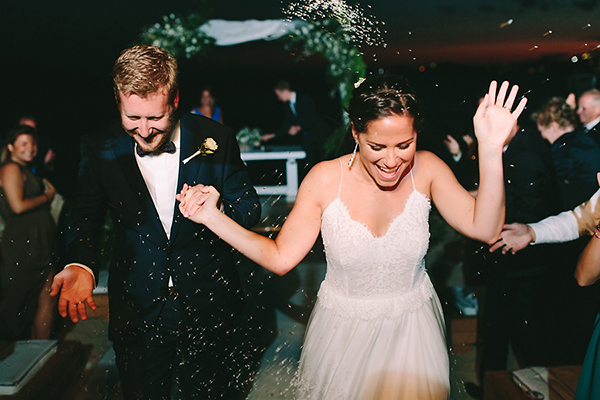 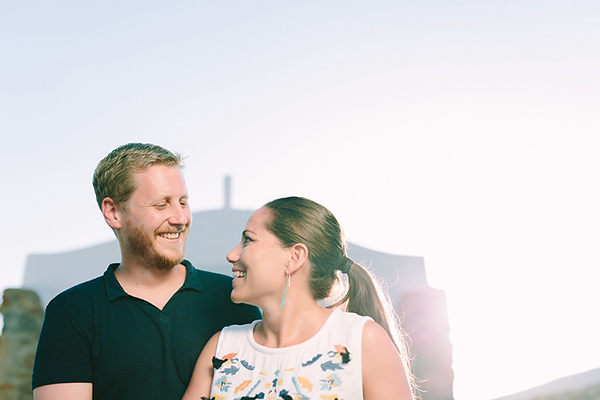 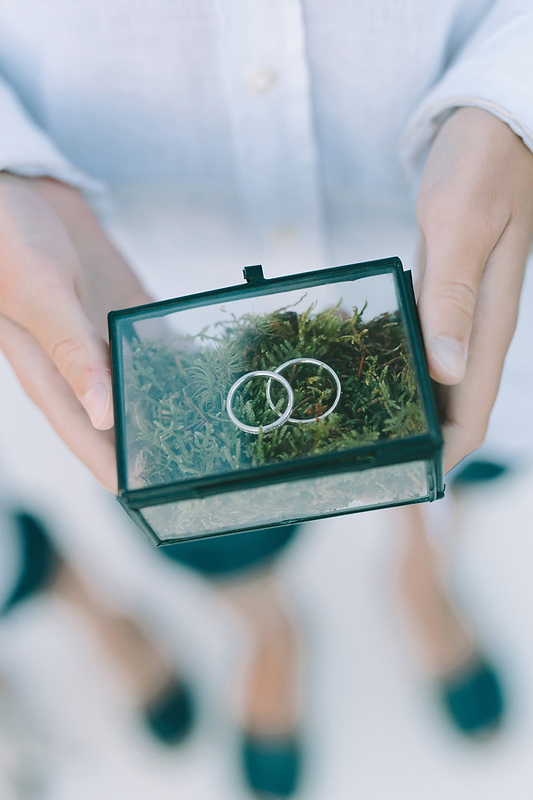 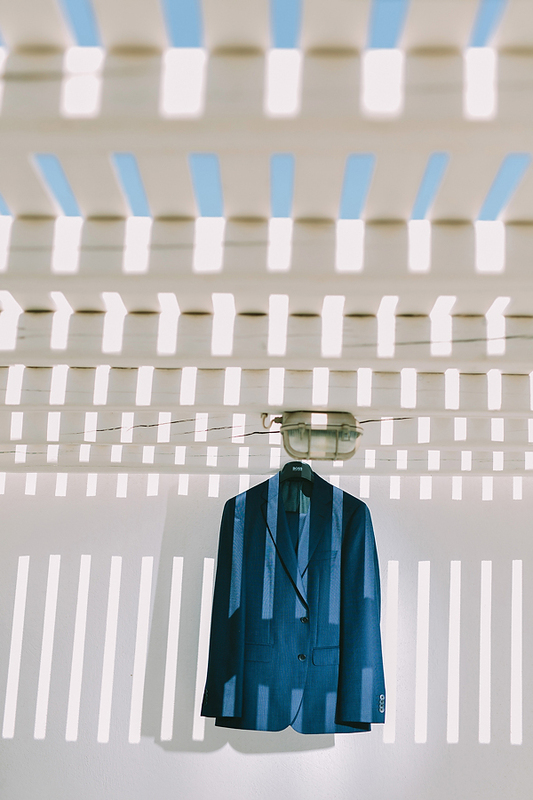 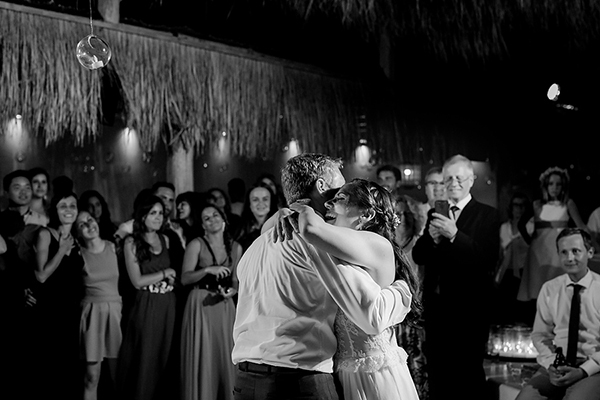 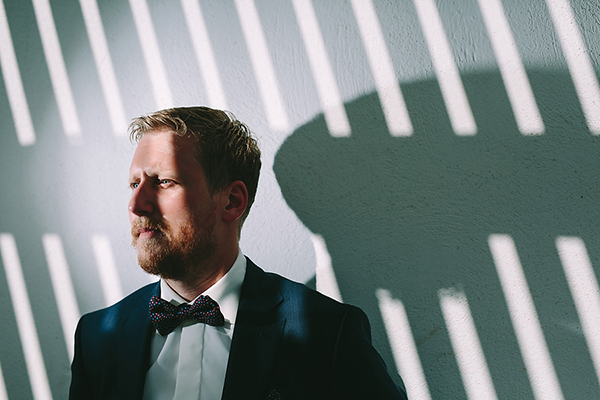 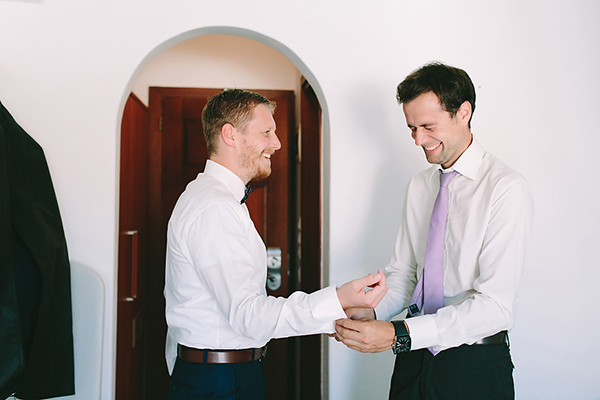 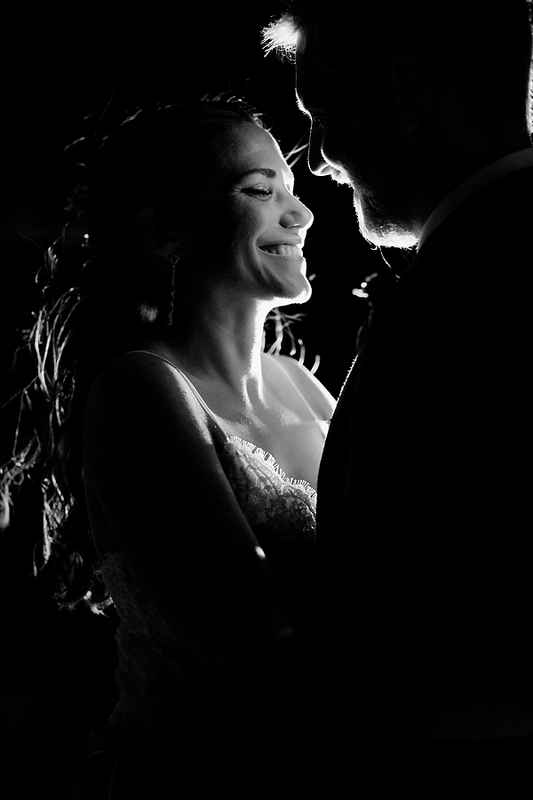 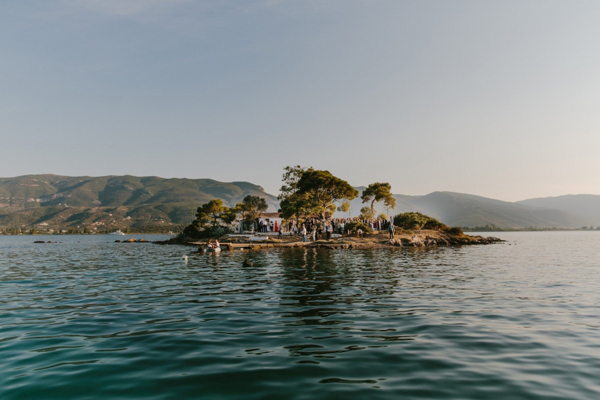 “We met in Barcelona (my hometown) at a birthday party of a common friend He proposed at home during a surprise dinner… that he cooked for me…”, the bride share with us.